'Steel Magnolias' is among the fare at Hackmatack Playhouse in Berwick. Classic musicals, contemporary dramas, as well as works by Shakespeare and Moliere are all part of the Maine theater landscape this summer. Summer theater has a long tradition in Maine of providing entertainment to visitors and locals alike, often in vacation destinations. 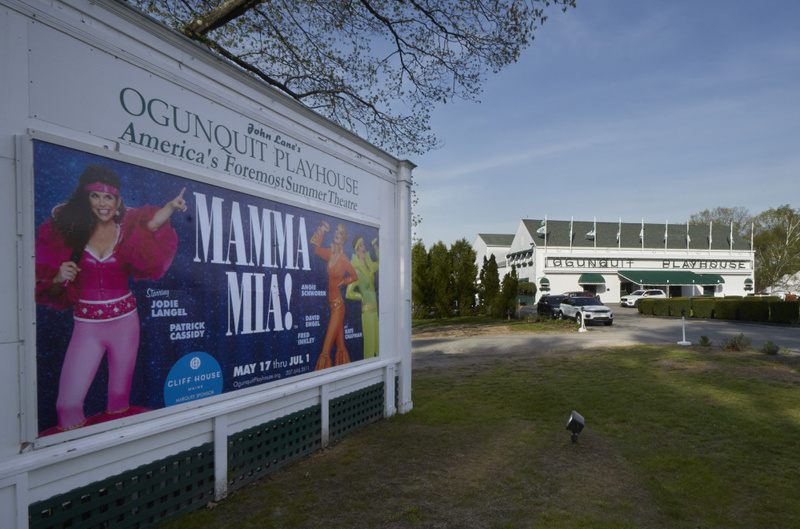 On the south coast, there’s the Ogunquit Playhouse, in its 85th season. Nestled among small lakes in the center of the state is the Theater at Monmouth. The Maine State Music Theatre in Brunswick is an easy drive for people vacationing in the midcoast, while Hackmatack Playhouse in Berwick is near the New Hampshire border. Here is a sampling of what theaters are offering this summer. The Ogunquit Playhouse has been putting on shows and drawing film and theater stars to Maine since 1933. The first show of the season, is “Mamma Mia!” which is filled with songs from ’70s pop superstars ABBA and performed by a cast of Broadway veterans. Jodie Langel, one of the leads, was Cosette in “Les Misérables,” and Angie Schworer was Ulla in “The Producers” with Nathan Lane and Matthew Broderick. Patrick Cassidy, who plays Sam, played Frank Butler in a Broadway revival of “Annie Get Your Gun” and is the son of Broadway stars Jack Cassidy and Shirley Jones. Theater at Monmouth is calling the theme of this season “Power, Passion, and Privilege,” with plays that explore liberty, justice and equality. There’s a Maine premiere, “Red Velvet,” based on the life of Ira Aldridge, the first black man to portray Othello. “Othello” will be presented, too, as well as another Shakespeare play, “Macbeth.” For people who like the classics, there’s also Moliere’s “The Learned Ladies.” The family show, “My Father’s Dragon” is about a runaway baby dragon, and performances are all summer long. Tickets for that show are $10 to $15.